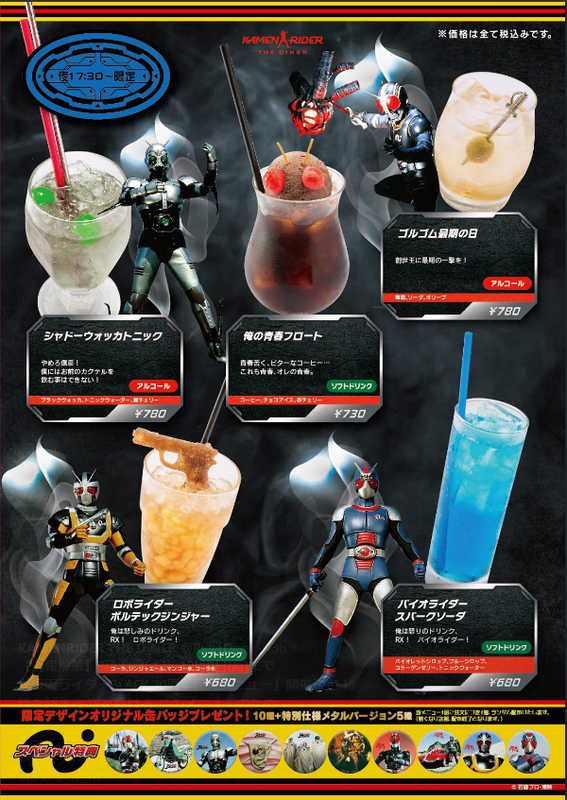 The official Kamen Rider theme cafe in Japan announced special menu items to celebrate the 30th anniversary of Kamen Rider Black. 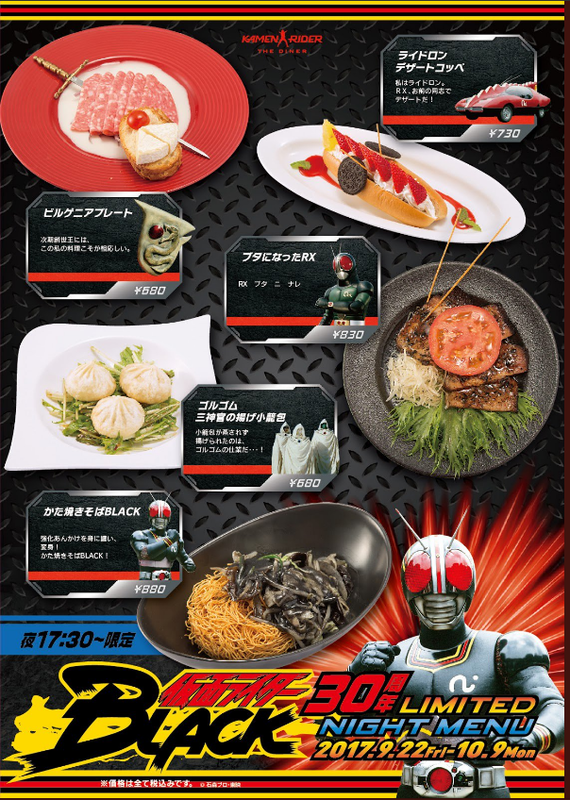 Starting from September 22nd to October 9th, Kamen Rider themed cafe, Kamen Rider the Diner, will be serving special menu items in celebration of Kamen Rider Black‘s 30th anniversary. The classic tokusatsu series premiered on the Tokyo Broadcasting System channel on October 4, 1987. Kamen Rider Black remains a Japanese domestic and international fan favorite, airing in countries such as Indonesia and the Philippines. Kamen Rider Black also received a direct sequel series titled, Kamen Rider Black RX, which would later be adapted as Saban’s Masked Rider in the United States. Black is considered by fans to be the most iconic Kamen Rider series from the 1980’s. Henshin with the powerful starchy sauce! Crispy Fried Noodles BLACK! The reason why the xiao long bao was deep fried, not steamed was all because of Gorgom’s fault! I am Ridoron. RX, I am your comrade and your desert! Stop Nobuhiko! I cannot drink your cocktail! A bitter youth coffee…this is youth, my youth. A final blow to the Creation King! I am the drink of sorrow, RX! RoboRider! I am the drink of anger, RX! BioRider!